CAIRNS Bishop James Foley has said it’s time for the Church to revise and extend a powerful 2004 pastoral letter signed by Queensland’s bishops calling for action to save the Great Barrier Reef. Bishop Foley has spoken out about stewardship of the reef as experts report the reef is reeling from its worst environmental crisis in recorded history, and warn politicians that this election cycle is the last chance to save it. In 2004, Bishop Foley was one of five Catholic bishops of Queensland to sign a pastoral letter “Let the Many Coastlands Be Glad”, emphasising the shared ecological responsibility for the Great Barrier Reef and the need for action to ensure its survival. They identified global warming, sediment run-off from land, sewerage outflow, deteriorating water quality, and over-fishing as key issues. 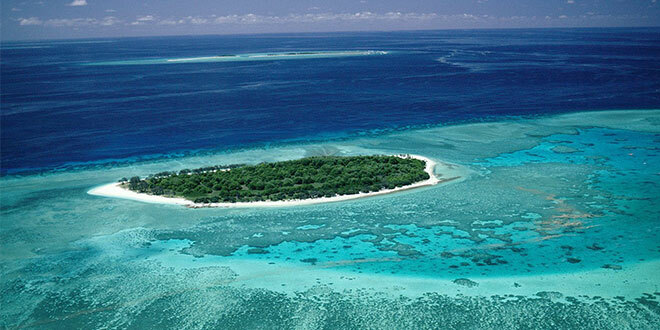 The Great Barrier Reef is described in the letter as “a sublime gift and blessing from God”. “Care for the environment and a keener ecological awareness have become key moral issues for the Christian conscience,” the letter said. “The need is greater than ever. That is now dramatically obvious,” Bishop Foley said, referring to the latest reports of extensive coral bleaching and experts warning the reef will likely be dead within two decades due to global warming. Great Barrier Reef Marine Park Authority chairman Russell Reichelt has reported 22 per cent of the coral along the length of the reef appeared to be dead, with 85 per cent of that mortality in the region north of Lizard Island, where half the coral had died. In the area immediately to the south – which covers most tourist destinations, including Cairns and Port Douglas – about 16 per cent of the coral had died. Bishop Foley said he would raise the protection of the reef and need to revise the pastoral letter on the Great Barrier Reef at the next meeting of Queensland bishops. “It significantly affects the people of Queensland and their livelihoods,” he said, particularly referring to the fishing and tourism industries. Calls from Church leaders and environmental advocates coincide with the anniversary of the release of Pope Francis’ encyclical on the environment Laudato Si, on Care for Our Common Home. Pope Francis wrote extensively on the issue. “The earth herself, burdened and laid waste, is among the most abandoned and maltreated of our poor,” he wrote. “But we need only take a frank look at the facts to see that our common home is falling into serious disrepair … If we scan the regions of our planet, we immediately see that humanity has disappointed God’s expectations. Pope Francis pinpointed the need for dialogue and action. Sister of Mercy Wendy Flannery, convenor of Climate Frontlines at Friends of the Earth, Brisbane, said politicians needed to urgently heed the Church’s call-to-action on the reef. “The human-induced climate change and global warming we are now experiencing is due to the release of greenhouse gases into the atmosphere, a large proportion of these from the use of fossil fuels, and most of the heat generated ends up in the oceans,” she said. Sr Flannery said the Great Barrier Reef represented an “explosive flowering of life like nowhere else”. “The reef in all its glory symbolises for me the divine creative impulse that the biblical writers tried to portray in story form in the first chapters of Genesis,” she said.